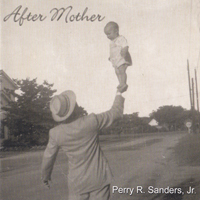 All songs written by Perry R. Sanders, Jr. and published by Sanders Publishing and T.P. Publishing except Paradise which was written by Larry John McNally and published by Larry John McNally Music, Take Your Favors which was written by Chuck Pyle and co-published by Sanders Publishing and Bee and Flower Music,Home Again which was written by David Arlen Bankston, Neale Lundgren and Perry R. Sanders, Jr. and published by Sanders Publishing, and Over My Shoulder which is co-published by Sanders Publishing and EMF Productions. Bam Arceneaux, Denny Knight, Ken Turner, Fred Knobloch, Sam Broussard, Gregory Ercolino and Perry R. Sanders, Jr.